Wednesday, February 21, 2018 • 3:00 pm ETIn this webinar, employment lawyers Helene Wasserman and David Maoz explore and discuss the sometimes innocent (and not-so-innocent) ways that harassment can arise in the workplace and, left unchecked, permeate the day-to-day experiences of its employees, leading to loss of morale, productivity, and key personnel, significant legal liability, and possible reputational ruin.Learn more. */ Rockville, Maryland (February 1, 2018)—Management Solutions Plus (MSP), an AMCi accredited association management company located in Rockville, Maryland, announced today that it will begin managing of the Public Media Business Association (PMBA). As a full-service management firm, MSP will work with PMBA leadership to strive for excellence in all aspects of the association, including strategic development, communications services, and comprehensive operational management. A timely update on the Biennial Ownership Reports that are due by March 2, 2018 and on FCC online public files from speakers Lawrence Miller and Melodie Virtue, Garvey Schubert Barer. USA Madison Hodges Innovator Award for Public Media Advancement - Call for Nominations Nominations should be specific regarding their innovations in public media.The selection will be made using the following criteria:The award is given to an individual whose innovative leadership in Public Media is of importance and quality.The achievement may have occurred over many years or over a short period of time.The Award is intended as a platform to recognize success, defined in this case as simply the courage to "try." Even failures, if successful in helping move the system forward, can be recognized. The Award recognizes the individual's attempts to make a greater impact in the community and on their profession as a public media professional, a licensee administrator, or a board member.Include: Nominee's Name, Your name, Your email address, Biographical sketch of the nominee, Related Documents which reflect how the nominee's innovations meet the listed criteria (you may attach a Word or PDF document in support of your nomination) Send to: Craig Beeby craig.usa@att.net Deadline: August 15, 2017 AWARD HISTORYIn 2016, the "Innovator Award" was presented to Michelle Srbinovich General Manager of WDET at Wayne State University in Detroit, Michigan. Michelle was responsible for driving the growth of the first working U.S. model of mainstream, major market, multi-ethnic public radio. She has earned national respect for her work at WDET and her commitment to bringing new audiences to public service media. In 2015, the "Innovator Award" was presented to Randy Wright of WUFT-FM/WJUF-FM/FPREN. Wright, executive director of the University of Florida College of Journalism and Communications' Division of Media Properties, led an effort that impacted the state of Florida with a first-of-its-kind resource to help residents prepare for destructive storms and other emergencies. The Florida Public Radio Emergency Network (FPREN) in 2015 launched Florida Storms, a free mobile weather application that offers a simple way to stay informed of potential weather and other hazards, backed by real-time credible information from the nearest Florida public radio station. In 2014, the "Innovator Award" was presented to the Madison Hodges family. The late Madison Hodges (1947 - 2014) Manager of WQCS at Indian River State College in Ft. Pierce, Florida will long be remembered for his many contributions to Public Media. About the University Station AllianceThe University Station Alliance (USA) is a grassroots not-for-profit organization founded in 2001 to assist university-licensed stations with the challenges and opportunities associated with their licensees. *University is a generic title that includes colleges, school systems, and state agencies. More information about the USA can be found at www.us-alliance.org. The 2017 PMBA Annual Conference will take place in St. Louis, MO, May 30 – June 2, 2017. We invite you to join an elite group of public media professionals, including general managers, CFOs, financial and business executives, HR professionals and a broad array of supporting organizations at this outstanding educational and networking event. We’ll focus on strategy, sustainability, compliance, accounting, finance, and human resources issues. The 2017 PMBA Annual Conference will take place at the Hilton St. Louis at the Ballpark. Hilton St. Louis at the Ballpark is a vibrant hotel near Busch Stadium. Situated in the heart of downtown and only 20 minutes from Lambert-St. Louis International Airport (STL), this central St. Louis, Missouri hotel is right next to Ballpark Village, within 100 yards of Busch Stadium and footsteps from the iconic St. Louis Gateway Arch. Experience stunning infield and arch views from your guest room. Enjoy sports, dining, entertainment and drinks at Ballpark Village. PMBA values and seeks diverse candidates as defined by race, ethnicity, gender, age, geographic location, professional level, and station role. This year, PMBA's Board of Directors is encouraging candidates from public media stations of all sizes, public media professionals from a variety of functional specialities, and from all geographic locations. The Board of Directors seeks leaders from all types and sizes of eligible organization. In this important regard, we encourage you to consider self-nominating for a role on the Board of Directors by completing the Board Nomination form. 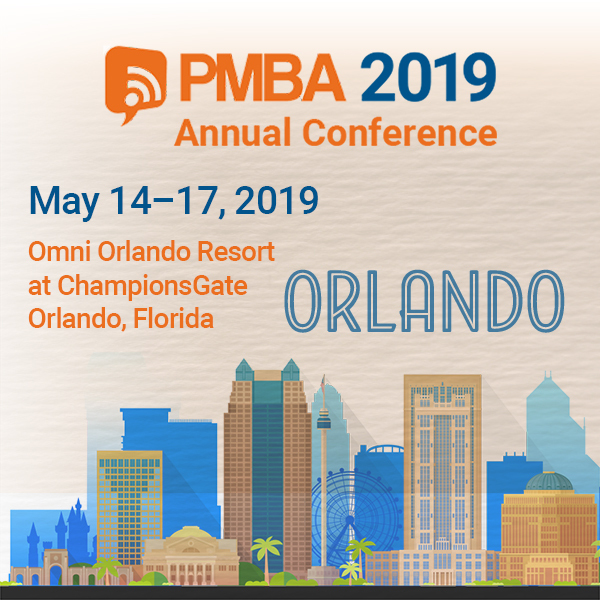 PMBA encourages you to apply for the Board of Directors, or submit a nomination for a candidate you believe would make an excellent addition to PMBA's leadership. ATSC 3.0 is a transformative technology that moves broadcasting to an IP-based delivery system. It offers public television stations significant opportunity to increase service and generate new revenue. This webinar will discuss the opportunities that ATSC 3.0 may present to the public media system. We will also discuss some of the financial and operational impacts this new standard may present to stations. Come learn how your station can benefit from the rollout of new technology related to ATSC 3.0 through potential partnerships with commercial partners. PMBA is seeking public media professionals and industry partners to fill open positions on the PMBA Board of Directors to help the association ensure the success and sustainability of public media. In this annual call for nominations, there are six open positions: two elected directors and four directors to be appointed by the board of directors. Each Board term available during this year's elections are for two years. All those interested in being considered for a position on the board must complete and submit their board application via the online application form. The application must be submitted no later than Friday, March 31, 11:59pm ET. PMBA invites you to submit a proposal for the 2017 Annual Conference, to be held May 30 - June 2, 2017 in St. Louis. Help us put together a top-notch program that will help attendees sharpen their skills, identify and analyze trends, review business practices, and identify new long-term strategic solutions. The deadline for proposal submissions is Friday, January 20, 2017.